Beautiful Watch Bands Just $19! Was $40! PLUS FREE Shipping! 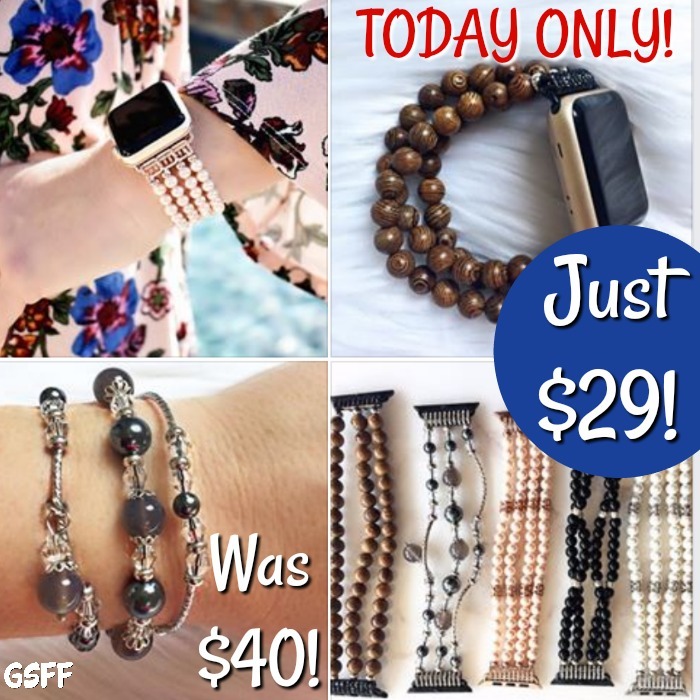 You are here: Home / Great Deals / Black Friday Deals / Beautiful Watch Bands Just $19! Was $40! PLUS FREE Shipping! I love a cute bracelet type watch band and these are too cute! Right now you can get these cute watch bands for just $19.99 down from $40 PLUS FREE shipping! Watches are meant to have a personality. So why let your Apple Watch blend in with the rest? Bands stretch over the hand and fit snugly around the wrist – no buckle or clasp. Provides a comfortable, feminine, uniquely stylish alternative to stock bands.